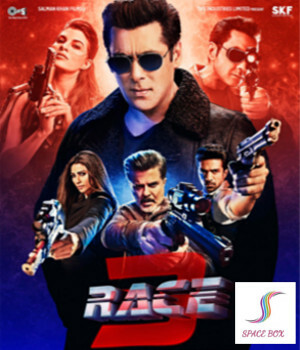 Race 3 is an Indian Hindi-language action thriller film directed by Remo DSouza and produced under Tips Films and Salman Khan Films. The film features Anil Kapoor, Salman Khan, Bobby Deol, Jacqueline Fernandez, Daisy Shah, Saqib Saleem and Freddy Daruwala. It is the third installment of Race film series.